RELEX has been working on the IT market since 1990. We started back in those times when a computer was called “calculation device”, programmers were called “engineers”, and the IT industry did not yet exist. We owe all our achievements to the fact that we put all our hearts in doing what we love – programming. We have developed, enhanced and implemented retail software and custom software alike. DBMS Linter and Project Tracking 2 are the two products we have currently on the market. The profound experience of RELEX in one of the most dynamic industries allows us to use our potential for improving business automation tasks for private companies and government organizations. RELEX Research and Development Center LLC, a member of a member of RELEX Group, is a startup company specializing in innovative IT developments. The key R&D activity of the Center is to explore modern data storage principles and processing methods, and to develop software in the area of database technologies. A great team of developers, the individual approach to each customer, the openness and transparency of the development process have allowed us to build strong relationships with companies from various industries, both in Russia and overseas. RMCSoft, Inc., a group member created in 2004 and dedicated solely to custom software development. Concentrating the potential of RMCSoft on one of our key activities has increased the volume of work several times and therefore the revenues. RELEX pays special attention to the quality of its products and services. The software development, manufacturing and technical support quality management system of the company is certified as compliant with the following standards: GOST R ISO 9001-2008, SRPP VT, and GOST RV 15.002-2003. RELEX pays special attention to the quality of its products and services. Our software development process and the technical support quality management system are certified as compliant with the following standards: GOST R ISO 9001-2008, SRPP VT, and GOST RV 15.002-2003. RELEX is licensed by the Russian Ministry of Defense and FSTEC for information security software development, and by the Russian Federal Security Service for carrying out work with state secret information. 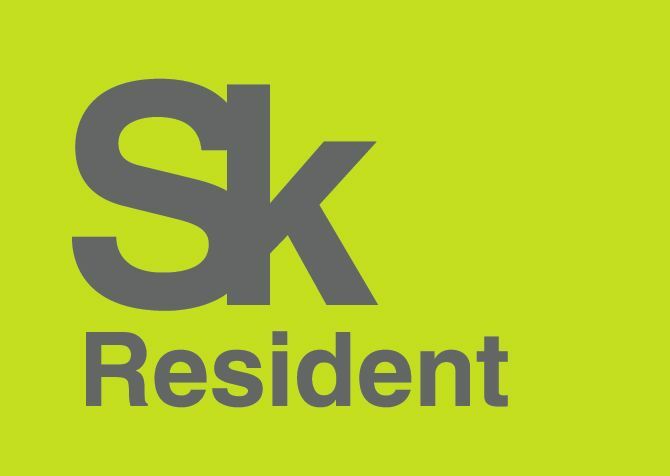 RELEX R&D division became an active member of the Skolkovo Innovation Center IT Cluster. Nuclear reactor management, oil and mineral production, air traffic control, business activities, automation of industrial machines, household appliances and mobile applications are using software created by the RELEX Group. Our regular customers and partners, including Surgutneftegaz, SovTIGaz, NIISI RAS, Kurchatov Institute, the Russian Federal Nuclear Centers in Sarov and Snezhinsk, Morinsis-Agat Concern, ОАО VEGA Concern, VNIIRA-OVD and others, note the high quality of the company's products and services, and the proficiency of the team. Linter is the only DBMS certified by the Russian FSTEC as compliant with Class 2 requirements of information security from unauthorized access, and Level 2 of undeclared capabilities absence control, and allowed for use in personal data information systems up to Class 1 inclusive. DBMS Linter Bastion, a special version of Linter, is certified by the 8th Department of the General Staff of the Russian Federation as compliant with Class 3 requirements of information security from unauthorized access, and Level 2 of undeclared capabilities absence control. DBMS Linter has been awarded at various expos and conferences, mentioned in ratings of IT magazines, acknowledged as "BEST SOFT 2006" by PC Magazine and best software in its product category. The scientific and industrial school of RELEX created and developed for over 20 years of successful work in the IT sphere is the most precious resource of RELEX Group. The RELEX team today is over 150 qualified professionals carrying out the full cycle of software products and services development (from project preparation and design to implementation and technical support of the end solutions). If you entrust software development to RELEX, you can always be sure in the high quality of the end solution, proficiency of your project team, rich experience of our managers, use of state-of-the-art technologies and development tools, and in strict compliance with the project requirements, budget and timelines. The most precious resource of RELEX Group is the staff and their professional development. The RELEX team today has over 150 qualified professionals carrying out the full cycle of software development. All stages from prototyping and design to implementation and technical support. You can always be sure of the high quality end solutions, expertise of the project team and the vast experience of our managers. Equally important is the fact that we use cutting edge technologies and development tools for the best results. We work in strict compliance with the requirements, budget and deadlines.